I saw this photo on a friend's Facebook page and thought it couldn't be more true! Taking risks, from what I've experienced, is a win-win scenario, but only if you do it right... no willy nilly jumping off cliffs. What do you think? 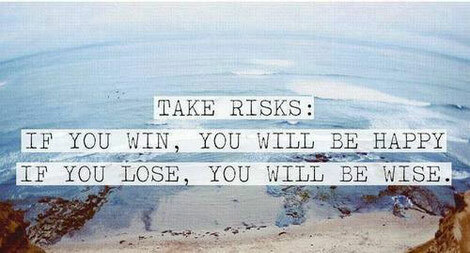 How do you take risks, or do you take them at all?